1. The Mini Goldendoodle is a newer dog breed. Although it has become very popular, the Miniature Goldendoodle is a fairly new dog breed. It is a smaller version of the standard Goldendoodle. 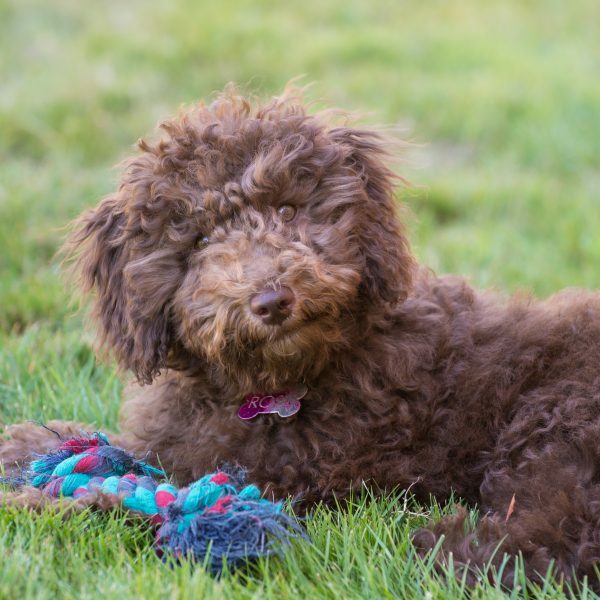 Although the standard Goldendoodle is currently recognized by the American Canine Hybrid Club (ACHC) and the International Canine Association (ICA) as a designer dog breed, the Miniature Goldendoodle is not. 2. They’re a good fit for apartment living. Mini Goldendoodles tend to be easygoing and highly adaptable. Due to their smaller size and moderate energy level, they tend to be a good fit for apartment living. Regular walks and some playtime will keep this pup well-exercised and happy. Plus, they don’t tend to be noisy, unless they’ve been trained to bark, so you shouldn’t have to worry about noise complaints from the neighbors! 3. They love to be by your side. The Mini Goldendoodle is loyal and people-oriented. They love to be around their human and can become very attached. If not properly socialized or given things to occupy their mind while you are gone, they can develop separation anxiety. This can result in some undesirable behaviors, which can be nipped in the bud if caught early with some training, socialization, and puzzles and games. 4. Miniature Goldendoodles are highly responsive to training. Miniature Goldendoodles are intelligent, sensitive dogs that are also eager to please. They tend to pick up quickly on training and can often respond to verbal cues based on the tone of your voice. You do have to be gentle in your tone and focus on the positive because negative tones can make them pouty or send them into a sulk. They love you and work hard to earn your praise, so they tend to take corrections personally. Not all dog breeds are inherently kid-friendly or open towards other dogs, strangers, and pets. This is not a concern with the Miniature Goldendoodle. These dogs love to play with children and are friendly towards other dogs and strangers. They also tend to have a very low prey drive, so they are often friendly towards other pets as well. The Mini Goldendoodle is an adorable, lovable ball of fluff. Due to hypoallergenic properties, they tend to keep their fluff to themselves and require minimal grooming. 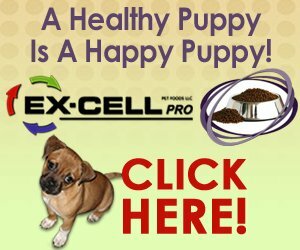 That, paired with their sweet and gentle nature, makes them a good fit for families and dog owners of any experience level. 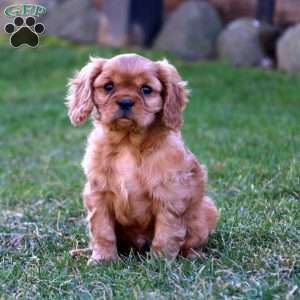 $895.00 Cavalier King Charles Spaniel Puppy Our Puppy of the Day!